One would melt seeing the romance between the couple featuring in it. The track showcases the girl who happens to be tone-deaf but the couple still manages to have that beautiful connect. 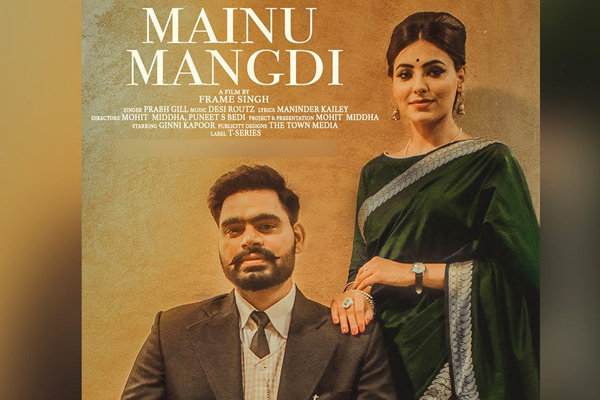 A fresh Punjabi track Mainu Mangdi has been sung by Prabh Gill, with Maninder Kailey who’s given the soul-stirring lyrics. The unique musical piece is rendered by Desi Routz. MUMBAI: Popular singer Daler Mehndi has sung a special song for Chhota Bheem Kungfu Dhamaka, an upcoming film on the animated character Chhota Bheem. The Tunak Tunak Tun hitmaker's daughter will also feature in the song's video. MUMBAI: We have vastly observed that Punjabi tracks are mostly known for their romantic and party hits, with this T-Series offers yet another romantic single I’m Better Now for the viewers. This track is a romantic heartbreaking number sung by Sidhu Moosewala featuring Snappy. Ash King, Momina and Qaran's debut collaboration 'Kishmish' is about love at first sight at a wedding! MUMBAI: Ash King and Momina Mustehsan have released their debut song, Kishmish for TImes Music. It beautifully portrays love at first sight at a wedding between Qaran Mehta and Vartika Singh, whose chemistry is one of the key highlights of this upbeat music video. MUMBAI: DJ Khushi Soni and music director, Shashi Suman, who recently dropped their debut single, High Court, spoke exclusively about the song, their association with VYRL Originals and more, in an exclusive interview with Radioandmusic. MUMBAI: The bold and beautiful actress, Sherlyn Chopra is all set to grace the spotlight for her brand new single, Tunu Tunu which is a Hindi pop song with a Punjabi touch. The song has been composed by music composer duo, Vicky and Hardik and has been sung by Sukriti Kakar.